I always enjoy finding out what others have read, are reading, or plan to read. If it’s something I’ve already read, it usually brings back warm memories, like good times with an old friend. If it’s something new to me, I often add it to my want-to-read list. I’m especially grateful for my book club which often forces me to read books I would never have chosen on my own, and in most cases I thoroughly enjoy. Here are the books I read this past year, in order of completion. 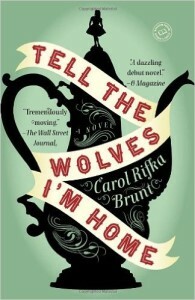 Tell the Wolves I’m Home by Carol Rifka Brunt – This was a book that someone in my book club brought to our holiday 2014 book swap. At the end of the evening, it ended up in my hands, and we chose to read it for the next meeting. It’s the story of 14-year-old June and her relationship with her uncle Finn, who dies young and was really the only person who truly understood June. It was a very moving book which I highly recommend. 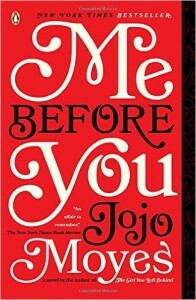 Me Before You by Jojo Moyes – My mother had recommended the author, and somehow I selected this book. It’s the story of a young woman who forms an unlikely relationship with a quadriplegic man. It had interesting characters and a moving story that kept me totally engaged. Nothing thrilling, just a very well-told story. It was one of my favorites this year; I highly recommend it. I recently learned that a movie based on the book is being released this summer so make sure you read the book before you see the movie. 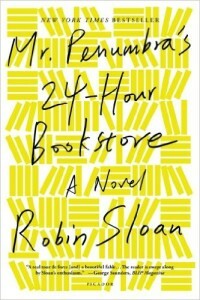 Mr. Penumbra’s 24-Hour Bookstore by Robin Sloan – This was a book I suggested for my book club based on a high school friend’s strong recommendation on Goodreads. She’s a voracious reader, teacher, and writer; I highly value her recommendations. It was a great story of a mysterious bookstore and secret society, and I liked how modern-day technology was intertwined with the story of old-fashioned books. I read it on my kindle, but I recently learned that the cover actually glows in the dark. 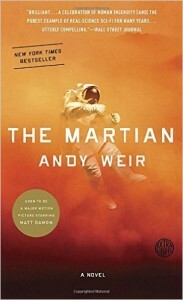 The Martian by Andy Weir – This was suggested by a book club member, and I was not totally on board. A science fiction book about a man stuck on Mars? That was certainly not a book for me, but I went along with the choice. I thought the first 50 pages were a little slow, but then I was hooked. I loved the main character’s resourcefulness and humor. My 11-year old son read the book as well and devoured it in 3 days (late nights!). I have not seen the movie yet. 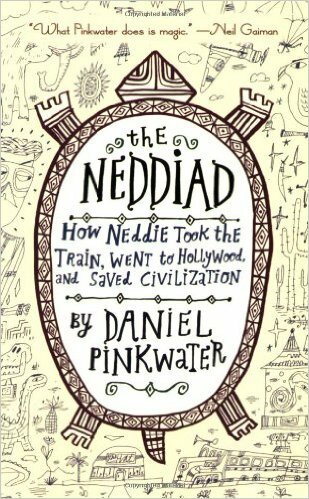 The Neddiad: How Neddie Took the Train, Went to Hollywood, and Saved Civilization by Daniel Pinkwater – Daniel Pinkwater is a quirky, amusing author. When I learned he’d written a kid’s chapter book that took place in Los Angeles, I was curious. He didn’t disappoint. It’s a weird, surreal tale of a young boy’s road trip to Los Angeles and his adventures with a shaman, a ghost, and three friends. It’s the first in a series that continues with two books with similar odd titles. 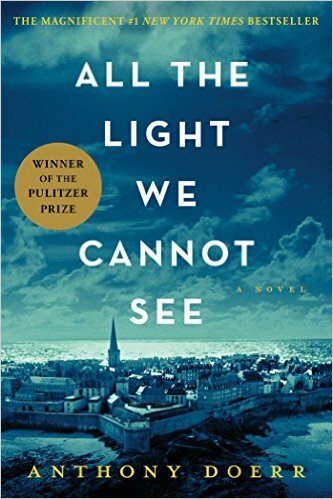 All the Light We Cannot See by Anthony Doerr – This was another book club selection, one that I was totally on board reading. I was thoroughly engrossed as I jumped between the lives of a blind French girl who had to flee from Paris to the coast of France when the Nazis occupied Paris and a German orphan who ended up in a Hitler Youth academy and went on the monitor and track Resistance movement. Slowly but surely, their lives converged, but not like I thought they would. If you haven’t already read it, you should. 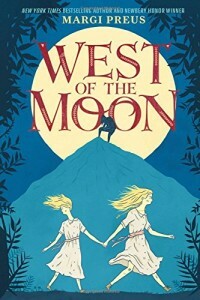 West of the Moon by Margi Preus – I read this book because of my interest in children’s books relating to Norwegian history and culture. It is not only a historical look at Norway in the 1800s and Norwegian immigration to America at that time, but it also provides a peek into the little known world of Norwegian folk tales by interweaving these tales into the story. 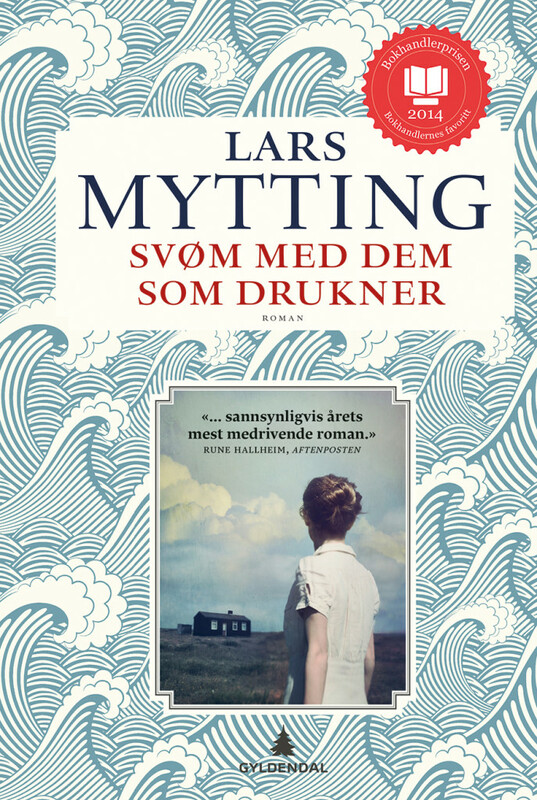 Svøm med dem som drukner (Swim with those who drown) by Lars Mytting – This was my Norwegian read this year. I received it from my parents. Best book all year for me, as I wrote in a previous post. Too bad it’s not translated into English so I can recommend it to more people. 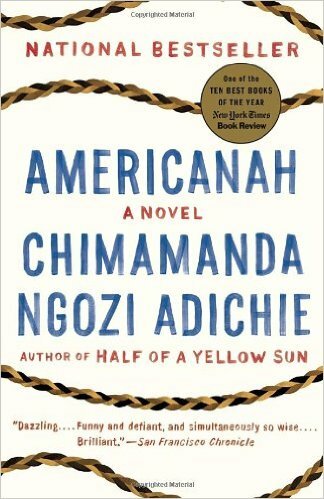 Americanah by Chimamanda Ngozi Adichie – This was not only highly recommended by my friend who had loved Mr. Penumbra, but I also saw it on “My Top Books of 2014” at Noriko’s Random Bits, the blog of another writer/teacher/friend who’s an avid reader. I love books as a way to experience other people’s lives, especially those of foreign and diverse cultures. This was a story about a Nigerian immigrant to the US and her later return to Nigeria. I liked how it brought me into a race and culture about which I had little knowledge and opened my eyes to so many new ideas. 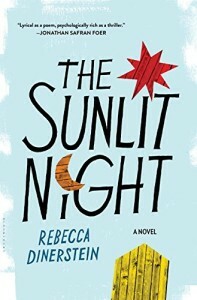 The Sunlit Night by Rebecca Dinerstein – In an edition of the Norwegian American Weekly, I saw that Dinerstein was soon coming to LA to promote her debut novel. I was intrigued because she was an American who had gone to Northern Norway for a year to write. She even learned the language. I convinced a friend to join me to hear her speak. It was interesting to hear her story, and I put her book on my want-to-read list. The book is about two strangers from New York City who meet in Northern Norway’s Lofoten area during the season of the midnight sun. I really enjoyed the descriptions of the area and the midnight sun. 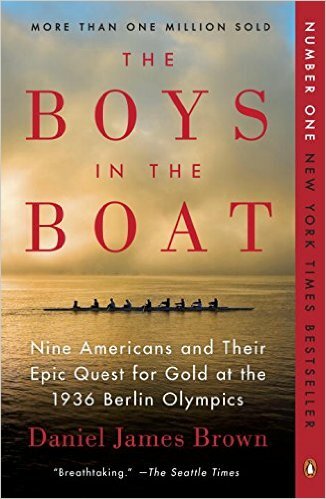 The Boys in the Boat: Nine Americans and Their Epic Quest for Gold at the 1936 Berlin Olympics by Daniel James Brown – This was another book club selection that I would not have picked out for myself, but I loved it. I really enjoyed getting a glimpse of what life was like back in the 1920’s and 30’s and thought it was interesting how the story included glimpses of Germany during that time as well. After reading it, I have so much more understanding and tremendous admiration for the sport of rowing. If the Summer Olympics come to LA in 2024, I definitely want to see eight-oared rowing. I gave the young readers adaptation of this book to my 11-year-old son for Christmas and he finished it overnight. I highly recommend the story for young and old alike. 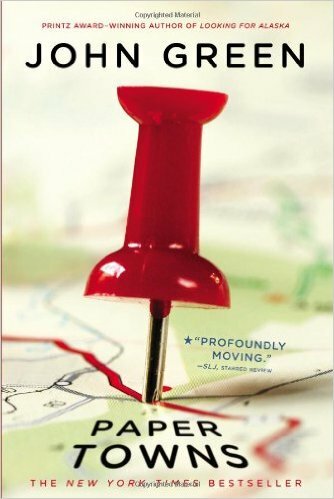 Paper Towns by John Green – I don’t remember how I came about reading this one. Most likely it was because I enjoyed John Green’s The Fault in Our Stars and I needed something to read and it was available as an ebook from the library. The book was fine but not one that I would necessarily recommend. 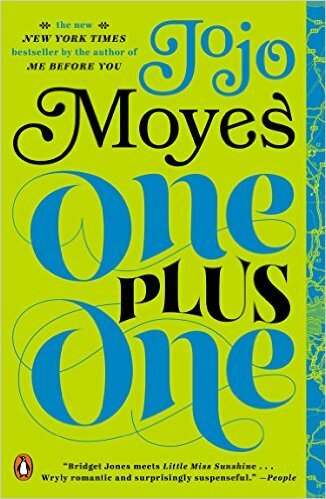 One Plus One by Jojo Moyes – Our book club was having a hard time reuniting again after summer break so I had some extra time to read books of my own choosing. After such an enjoyable time with Moyes’ Me Before You (and the sequel wasn’t out yet), I chose this one. It was also a very good read, but there were too many similarities between this and the other one that it wasn’t as enjoyable. But don’t get me wrong, it was still very good. The Girl in the Spider’s Web by David Lagercrantz – My book club wrapped up the year with this one. You might be familiar with Swedish author Stieg Larsson’s Millennium series about pierced and tattooed superhacker Lisbeth Salander and investigative reporter Mikael Blomqvist. Larsson died and Lagercrantz continued the series with this one. 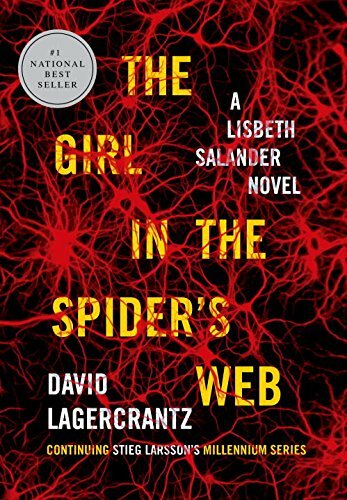 I didn’t feel the book contained the same suspense as the others and Salander was more on the outside of the story than I would have liked, but overall a very engaging read. 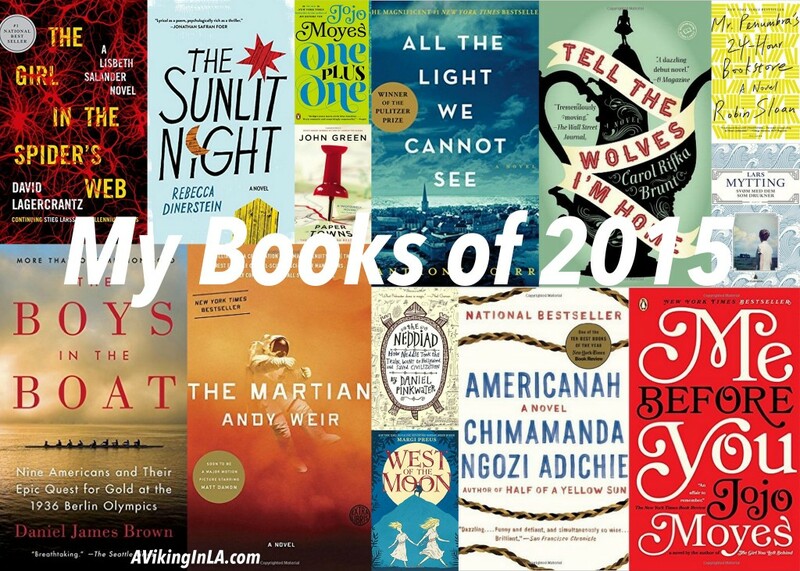 Reminiscing about the books I read in 2015 was a fun experience. I’m proud of my reading accomplishment this past year. It was quite a few books (14!) of different genres and on a variety of topics. I look forward to another productive year of reading, and welcome your recommendations! This entry was posted in Books & Reading and tagged book club, kid lit by Patricia Zanuck. Bookmark the permalink. Impressive list – helpful descriptions! Thanks! I look forward to hearing your thoughts on any that you read!